Screen Printing is a printing technique whereby a mesh is used to transfer ink onto a fabric, except in areas made impermeable to the ink by a blocking stencil or screen. A blade or squeegee is moved across the screen to fill the open mesh apertures with ink. A reverse stroke then causes the screen to touch the fabric momentarily along a line of contact. This causes the ink to wet the substrate and be pulled out of the mesh apertures as the screen springs back after the blade has passed. One color is printed at a time, so several screens can be used to produce a multicolored images or designs. It is a facinating process. More fun than mowing your lawn. There are various terms used for what is essentially the same process. Traditionally the process was called 'screen printing' or 'silkscreen printing' because silk was used in the process. There are also different types of mesh size which affect the outcome and appearance of the finished design on the material. A design is given to us by our customer or our in-house graphic department will consult with you to create the design. There is a process we perform that takes the art work or design and creates the screen(s) that are used can print to onto the garment. The garment is then printed and processed through our curing dryer system which will bond the ink into the garment(s). 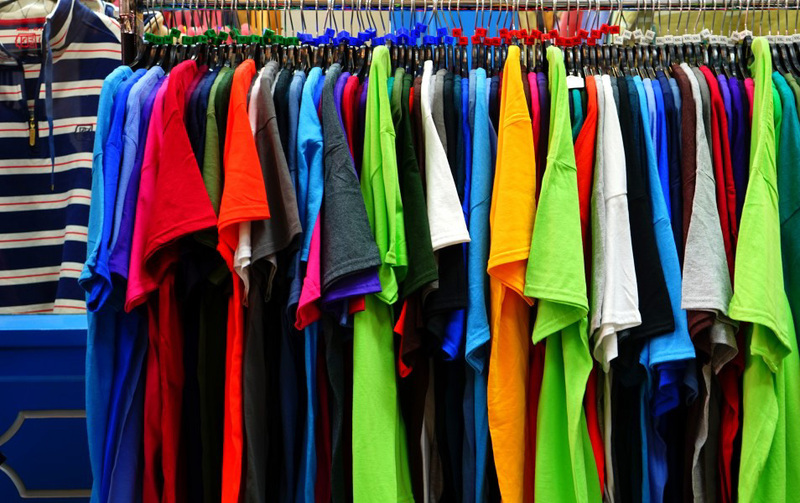 Screen-printing is an affordable way to print onto numerous apparel items including T-Shirts, Hoodies, Caps, Sweatshirts and more. There are a variety of inks and colors that can be used to enhance a design giving it a unique look such as fluorescent colors and glow-in-the-dark inks. Now that you know all about the screen-printing process we are excited to put it to work for you!